CentrePoint Construction a general contractor has more than 15 years of experience in its team ranks from builders to construction managers. CentrePoint Construction diversified team has the capabilities to successfully complete projects ranging from residential remodeling, to commercial renovation, from tenant improvements, office space, retail space and hospitality. ? CentrePoint Co. believes that in every construction project from small to big sustainable methods of building can be applied. Our core value and success is through keeping first rated craftsmanship during the construction phase that also promotes a healthy and efficient end product for all occupants young and old. ? 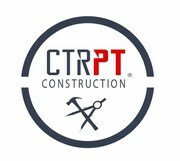 Whether your project is a residential remodel, or a commercial renovation CentrePoint Construction believes that through quality control we provide excellent workmanship, we own it and our team believes it. We highlight at the beginning of a construction project a mutual understanding with Clients, Construction Managers, and Tradesmen to bring that dream to real life; making an enduring impression for generations to come.